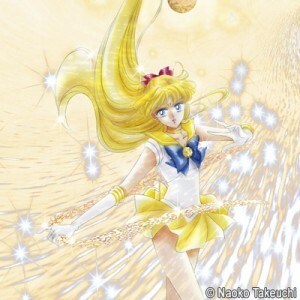 2012 is the 20th anniversary of the Sailor Moon manga and anime. Many products and events have been made to coincide with this milestone. On July 6th 2012 there was a live show to celebrate Sailor Moon’s 20th Anniversary. This celebration continued for the following 4 and half years as we continued to celebrate this seemingly never ending anniversary. The Sailor Moon manga was first published on December 28th 1991 with the anime starting on March 7th 1992, which puts us squarely into Sailor Moon’s 25th Anniversary. Last night the Sailor Moon official site, which had been using the 20th Anniversary name and logo on it’s projects up until yesterday, finally embraced the 25th Anniversary. Sorry Anniversaries 21 through 24! You’re never going to happen. 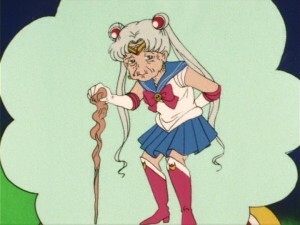 The Sailor Moon franchise is worse off than an unfortunate child born on February 29th who’s parents are too cheap to buy streamers and presents on anything but a leap year. How long will the 25th Anniversary celebration last? If the past is any indication it will be until about 2022 when we celebrate the 30th Anniversary perhaps with the final arc of the still ongoing Sailor Moon Crystal anime and some Sailor Moon themed suppositories. Farewell Sailor Moon 20th Anniversary! It was a good five years! An art book released to celebrate the nearly 5 year old 20th anniversary of Sailor Moon was released yesterday, October 20th, in Japan. I received my copy yesterday and was very pleased with the contents. From the initial description of the product it wasn’t terribly clear what would be involved. Some were claiming it would just be a review of the Pretty Guardian Sailor Moon Exhibit at Roppongi Hills and others that it would just a product catalogue. It is both those things but so much more. It is packed full of information and images from products offered throughout the years as well as details and interviews from the original anime and musicals. This 160 page art book is packed densely full of 25 years of Sailor Moon goodness that fans will all surely get a kick out of. You can buy the book online from sources like Amazon Japan and CD Japan for 2480 yen, about $24 US plus shipping. Overall the book is of a great quality. I was concerned when the official site referred to it as a Mook, short for Magazine Book, that it might be cheap. It is soft cover but the jacket and pages are of good quality. The book if 160 pages of full colour with a good layout. I’ll break up the contents by section to give an idea of what’s involved. I can’t easily include photos of every page, but I’ll include a lot of samples within the post and at the end to give a good idea. 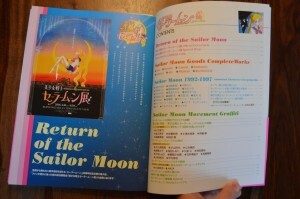 The first section, encompassing about 30 pages, is named “Return of the Sailor Moon”. Getting past this ridiculous Donald Trumpesque superfluous usage of “The”, this is an overview of the Roppongi Hills Sailor Moon Exhibit which was held in Tokyo from April 16th to June 19th of this year. 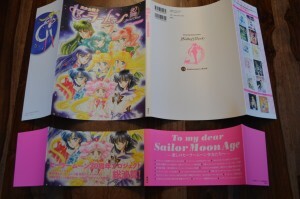 This includes an in depth look at the exposition which includes in itself a general overview of Sailor Moon since 1991. This spans the manga, anime, merchandise and musicals. Included in this event was a special shop with tons of Sailor Moon goods. 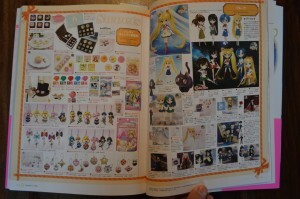 A catalogue of all of that merchandise is included as well. A Sailor Moon Cafe was also set up the event. Details on the menu and photos of some of these beautiful food options are included. Next is the “Sailor Moon Goods CompleteWorks” which is about 40 pages full of merchandise which has been released since Sailor Moon’s 20th Anniversary revival. 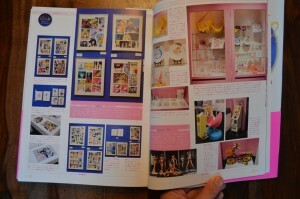 This doesn’t cover older merchandise, which is included in some of the exhibit photos and later in the book, but is a thorough catalogue of everything that has been out since Sailor Moon Crystal was announced. This includes toys, clothes, food, media like Blu-Rays and CDs, and jewellery released since 2013. A lot of this stuff is still available to purchase in Japan. The next 46 pages are about the original Sailor Moon anime. This is referred to as the Sailor Moon 1992-1997 Animation Characters Encyclopedia which sums it up pretty well. We start out with biographies on all of our favourite characters. 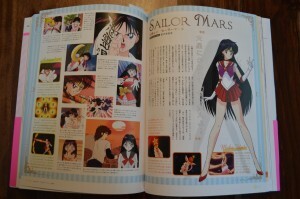 Sailor Moon gets four pages, Sailor Mercury, Mars, Jupiter, Venus and Chibi Moon get two a piece, Sailor Uranus, Neptune, Saturn, Pluto and Tuxedo Mask get a page each and then the Sailor Starlights and other characters get less than a page. These are all accompanied by a number of screenshots and character art from the series. We then get an overview of the films and a season by season breakdown of all episodes. Also included at the end of this section is a full page interview with Shoko Nakagawa, the voice of Diana from Sailor Moon Crystal who sang a song on the 20th Anniversary Tribute Album. Since she doesn’t have anything to do with the original Sailor Moon anime this interview is separate from that chapter. 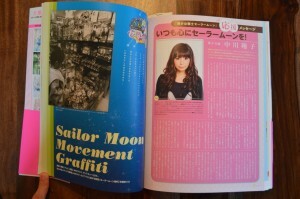 The next section, which is the rest of the book, is dubbed the “Sailor Moon Movement Graffiti”. I won’t pretend this name makes sense. I can’t even try to understand what this is meant to mean and it is itself divided into a few sections which I will treat as being separate. The section begins with a timelines of events occurring since the 20th Anniversary. This is mostly Sailor Moon Crystal and Sailor Moon Musical related events though there are merchandise details included as well. The next 10 pages or so are all about Sailor Moon Crystal. We have general information about the series, some character art and interviews with all of the main cast. 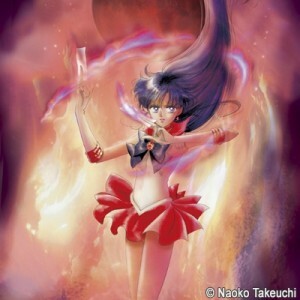 This includes the voices of Sailor Moon, Mercury, Mars, Jupiter, Venus, Chibi Moon and Pluto. The next few pages are a mixed bag. We have a world map showing products from around the world. What does North America have? The Sailor Moon RPG book and a children’s Play-a-Sound book that has little buttons that you push so that it makes noise. Both points of the map are in Canada. The RPG book is somewhere in the sparsely populated North West Territories or Nunavut and the Play-a-Sound book is somewhere in Manitoba. Am I that Canadian for owning both of these? 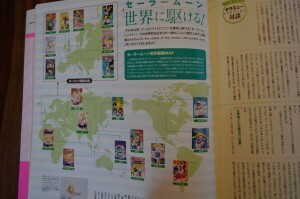 There’s a map of Tokyo which shows many Sailor Moon locations with photos of where they are now! There is then a timeline which covers the manga and anime years and some of the products released over that time. As a very small footnote in the corner of the last page covering this time is a blurb about the live action Sailor Moon series which was released in 2003 and 2004. I was hoping to have better coverage of that series in this book but unfortunately that was not the case. The final 6 pages are all of older merchandise from back in the 1990s. Most of the toys shown are now incredibly rare and very expensive if you’re lucky enough to find them. Let’s be glad we have all of this new merchandise which is only somewhat unaffordable! Overall I thought this was a great book. It has an overview of so many different facets of the series! While there isn’t a ton on the manga or live action series the book makes up for it by going into great details on merchandise, the anime and the musicals. I recommend that any fans who were on the fence about buying this book get it! You won’t be disappointed. Keep reading for more photos of the book. To see the rest, buy it for yourself! 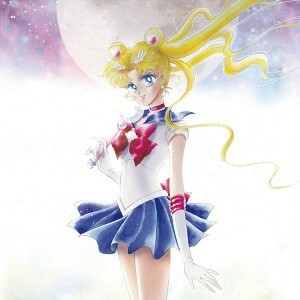 A new Sailor Moon art book is being released in Japan in celebration of the ongoing 20th Anniversary. 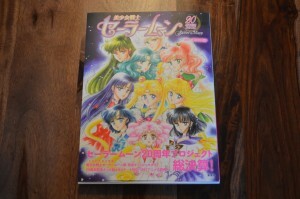 This 160 page book will cover nearly 25 years of Sailor Moon, which was first released as a manga in December of 1991. The 20th Anniversary celebration has been going on for nearly five years now and there seems to be no indication that it is losing steam nearing what should be a more iconic 25th year anniversary. The book is set to be released on October 20th though it will be available early for fans attending showings of the terribly named Sailor Moon Amour Eternal musical which will begin on October 15th. Fans who don’t plan to be in Japan next week can order a copy through online retailers such as Amazon Japan and CD Japan for 2480 yen, about $24 US. Keep in mind that books are heavy and expensive to ship! 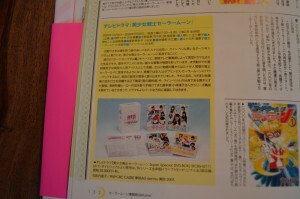 Details about the book can be found on the Official Sailor Moon site. 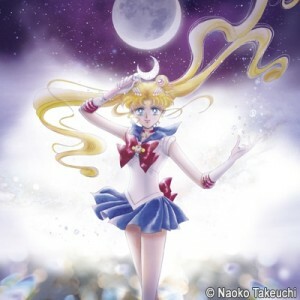 It seems like it will cover the Sailor Moon exhibit which was held in Roppongi Hills this year. This could be a nice alternative for fans that couldn’t afford a trip to Japan to see the exhibit. It is also mentioned that there will be many interviews and that it will generally cover Sailor Moon, which I assume means it will touch on the various incarnations of Sailor Moon throughout the years. 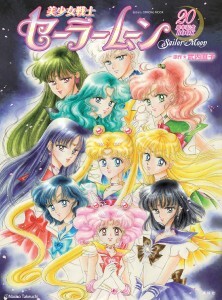 The cover features a new drawing by Naoko Takeuchi, the creator of Sailor Moon. The book is being refered to as a Mook through the URL on the official site (20thmook160923.php) and the embedded image (20thh_mookkai.jpg). This isn’t a term I was familiar with but it seems to be a portmanteau between magazine and book. These are common in the fashion magazine industry and represent magazines which are meant to be sold over longer periods of time than usual weekly or monthly publications. I’ve got an order in for the book and will strive to have a review up on the site at some point in the future. August 28th 1995, 20 years ago today, the Sailor Moon anime first aired on YTV in English in Canada. This marked the beginning of the popularisation of the series in North America, where it acheived a great amount of success, as it had been and continued to do throughout the world. As a Canadian I experienced this first hand as the show played repeatedly on YTV and Global many times a day in popular time slots. Sailor Moon was an instantly recogniseable icon amongst Canadian adults and children alike when the show was in its prime. The series first aired in US on syndication starting September 11th 1995 though many American stations relegated it to less desireable times than Canadian stations had done. I recall getting up to watch the show in the early hours of the morning weekdays on UPN 38 and WPIX as many other fans surely did. 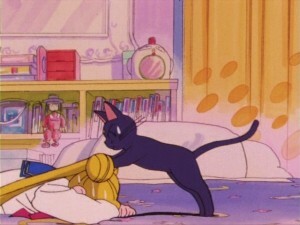 Though everyone’s personal experience with Sailor Moon may differ wide spread exposure to the series in the US was less common until Toonami began airing the show on June 1st 1998. Some of you may be wondering how we can be celebrating the 20th anniversary of the show in North America when we are also celebrating the 20th anniversary of the show in Japan. It took over 3 years for the show to be dubbed and released domestically, with the first episode being aired in Japan on March 7th 1992. The so called 20th annivesary celebration that has been going on in Japan has therefore been going on for over 3 years. The 20th Anniversary brand still appears all over the Japanese Official site which is titled the Sailor Moon 20th Annivesary Project Official Site and the Official Twitter account @sailormoon_20th. At this point we are actually closer to the arbitrary 25th annivesary of the show in Japan than the 20th. 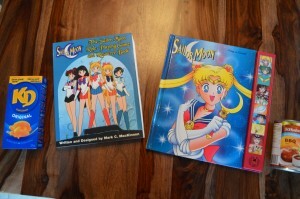 Whatever the case Sailor Moon, as most of us have known it, has been around for 20 years. Here’s to 20 more! The Sailor Moon 20th Anniversary Memorial Tribute Album is getting a release on vinyl! There will be five different records released with two songs on each. Collect all five to get the full album. 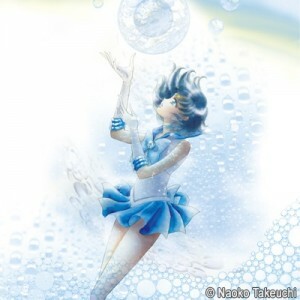 Each record features cover art of a different Sailor Guardian. 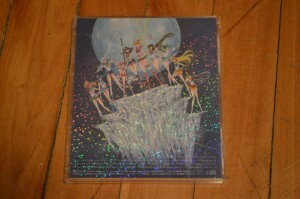 The record with Sailor Moon on the cover contains Moonlight Densetsu and Tuxedo Mirage, both performed by Momoiro Clover Z. The one with Sailor Mercury on the cover contains the Sailor Star Song by Mitsuko Horie and Heart Moving by Shoko Nakagawa. Sailor Mars is found on the jacket of the record containing La Soldier by Tommy Heavenly6 and Ai No Senshi by Mariko Goto and Avu-chan. 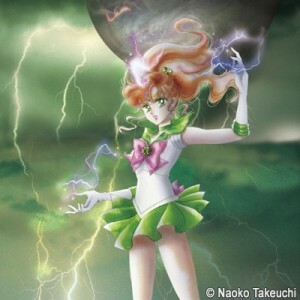 The record with Sailor Jupiter on the cover contains Princess Moon by Haruka Fukuhara and “Rashiku” Ikimasho by Haruko Momoi. Finally the record featuring Sailor Venus on the cover contains Otome No Policy by Etsuko Yakushimaru and Kaze Mo Sora Mo Kitto by Makoto Kawamoto. The bonus track from the CD, the French version of Moonlight Densetsu, does not have a vinyl release as it is not part of the core album. The records can be purchased individually or as a set from HMV. Since the links on that page don’t seem to work click directly on the product name to buy the box set featuring all five or the individual record featuring Sailor Moon, Sailor Mercury, Sailor Mars, Sailor Jupiter or Sailor Venus. The box set costs 8100 yen, about $80 US and the individual records each cost 1620 yen, about $16 US. 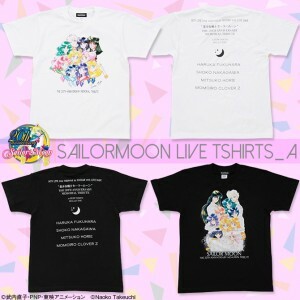 We talk about a lot of Sailor Moon merchandise on this site but things are expensive in Japan, especially when you factor in expensive shipping prices. The good news is that you can now buy a digital version of the recently released Sailor Moon 20th Anniversary Memorial Tribute Album. The album is available for just $8.99 as MP3s from Amazon.com and also for $12.90 from the iTunes store. If you’re not in the US you can search in your own country’s iTunes store for the album where it may be available. Canadians, for example, aren’t able to order Amazon.com MP3s but can download the album from the Canadian iTunes store. It’s easy to make excuses about imports being too expensive but this digital download really isn’t so if you care to support Sailor Moon this is a cheap and easy way to do so! The main draw back of the digital version of this album is that it does not include the final track, the French language cover of Moonlight Densetsu by Clémentine. If you’re a completist I would suggest downloading that track from the Miss Dream web site. You can still buy the physical version of the CD from Amazon Japan, CD Japan or JList. Download the album from our Amazon store using the link below or in our sidebar on the left side of the main page to support this site. 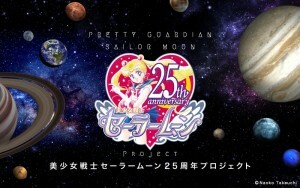 This coming Thursday, February 27th 2014, a live concert will be held by MTV to celebrate the recent release of the Pretty Guardian Sailor Moon 20th Anniversary Memorial Tribute Album. 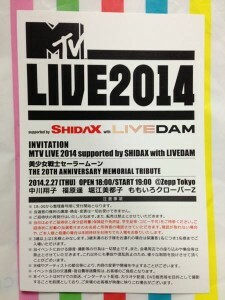 The concert is being called the “MTV LIVE 2014 supported by SHIDAX with LIVE DAM” and will feature some of the artists on the album. To date Shoko Nakagawa, Mitsuko Horie, Haruka Fukuhara and Momoiro Clover Z have been confirmed to be performing though more may be joining this list. The concert will be taking place at the Zepp Tokyo music hall. A lot of exclusive merchadise will be sold at the show including t-shirts, towels and a flag. 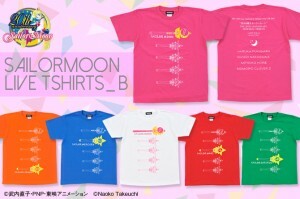 The Sailor Moon official site has images and details of these items. 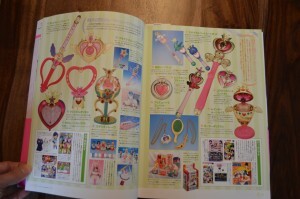 English information is available at the Sailor Moon Collectibles site. 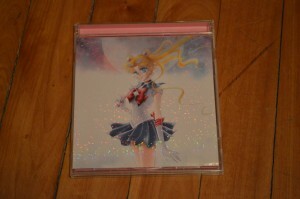 The Sailor Moon 20th Anniversary Memorial Tribute Album was finally release on January 29th. I got my copy a couple of weeks ago and have been quite happy with it. I would encourage readers to buy a copy for themselves from sites such as Amazon Japan, CD Japan or JList. Alternatively you can download the album illegally from the Miss Dream web site. This album, as we have mentioned before, includes covers of popular Sailor Moon songs by a variety of Japanese musical artists. We spoke a lot about who these bands were in earlier posts about this album. I generally enjoyed the album quite a bit. It filled me with nostalgia for these famous songs which I’ve listened to countless times over the years but still offered something new to appreciate with the different takes all of these artists have on these songs which are now up to 20 years old. Below I will include brief thoughts on each of the tracks. This 4th of July weekend, July 3rd to the 6th, Anime Expo in Los Angeles will be playing host to a huge number of Sailor Moon voice actors. A few weeks ago the first round of guests were announced as the convention would welcome all five of the Sailor Soliders, Linda Ballantyne, Sailor Moon, Karen Bernstein, Sailor Mercury, Katie Griffin, Sailor Mars, Susan Roman, Sailor Jupiter and Stephanie Morgenstern, Sailor Venus. This past weekend another bunch of actors were added with Toby Proctor, Tuxedo Mask, Mary Long who voice Molly, Catsy and JunJun, Ron Rubin, Artemis and John Stocker, voice director for the movies and final two seasons. All of these actors have done many other voice acting roles. This gathering is once again being billed as part of the Sailor Moon 20th Anniversary which was first celebrated in February of 2012. This July the 20th celebration will be well into it’s third year. Will we continue celebrating Sailor Moon’s 20th Anniversary up until it’s 25th Anniversary? Only time will tell! Here’s the second of two Sailor Moon voice actor panels that were part of Unplugged Expo‘s Sailor Moon 20th Anniversary celebration. 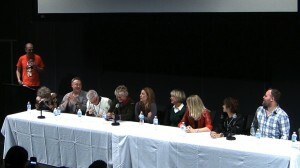 This panel was from the Sunday, October 27th, in Toronto. 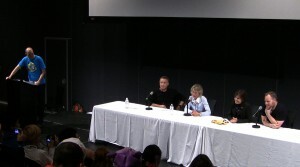 Saturday’s panel had more voice actors present but Sunday’s panel allowed for a more intimate experience with Ron Rubin, the voice of Artemis, Susan Roman, the voice of Sailor Jupiter, Terri Hawkes, the voice of Sailor Moon and Toby Proctor, the voice of Tuxedo Mask. The MC is me, Adam Gardner. The panel focused on the cast’s time working in voice acting and featured a few attacks from the live action series. 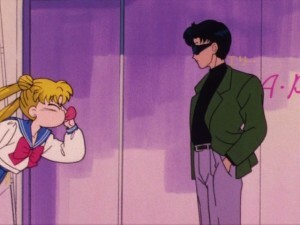 Though discussion of the new Sailor Moon anime was saved for the Sunday panel there were no new announcements made as no new information was available however the cast is enthusiastic to reprise their roles if given the chance and suggested fans on the Internet would have a lot of influence if they asked to see the original cast return. One such effort which I mentioned during the panel was this Facebook page which petitions to have Terri Hawkes voice Sailor Moon in the new anime. Please support this page and others if you’d like to hear your favourite voice actors in the new show. Thanks to the Unplugged Expo staff for putting this convention together, to the Sailor Moon voice actors for making a great panel and to Kate for helping with the camera. 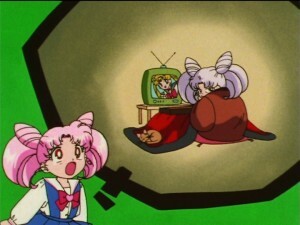 Check out Kate’s Sailor Moon screenshots on Instagram or Twitter. Saintfighteraqua on How much does the Galaxy Cauldron from Sailor Moon resemble the recently imaged supermassive black hole? Luke Yannuzzi on How much does the Galaxy Cauldron from Sailor Moon resemble the recently imaged supermassive black hole?